this delightfully sinister US Government page doesn’t actually state that they will assassinate any of the high-profile targets named there, but it’s bleedin’ obvious that, should any “tips” they receive lead to locations in the middle of Pakistani, Yemeni or other middle eastern hinterlands conveniently far enough away from journalistic surveillance, they’ll be saying farewell to a few more drones. I doubt they appreciate the irony of how much their technique resembles Jim Bell’s infamous proposal for controlling the world’s authoritarians and other bullies. The major difference is that the money isn’t put up anonymously by a peeved public but blatantly offered by a State that thinks it can make its own laws whenever appropriate. And they certainly won’t appreciate or even comprehend why they’re both wrong for exactly the same reasons. And both right. 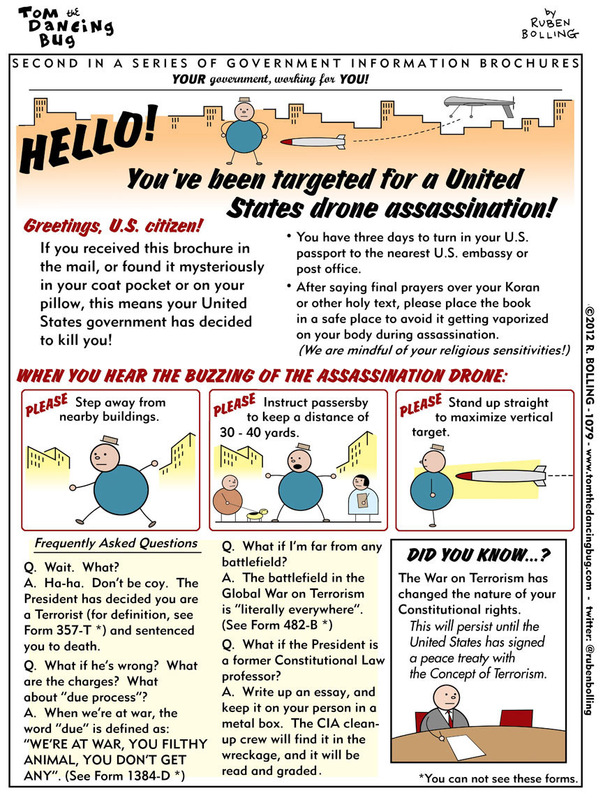 Assassination is certainly a more humane way to fight war than carpet or chemical bombing. And if the Islamist’s 9-11 attack had merely put bullets through the brains of the leading neo-cons and money-men who had already decided they needed a war, the “terrorists” would have won a lot more respect and a lot less hostility from a grateful world. 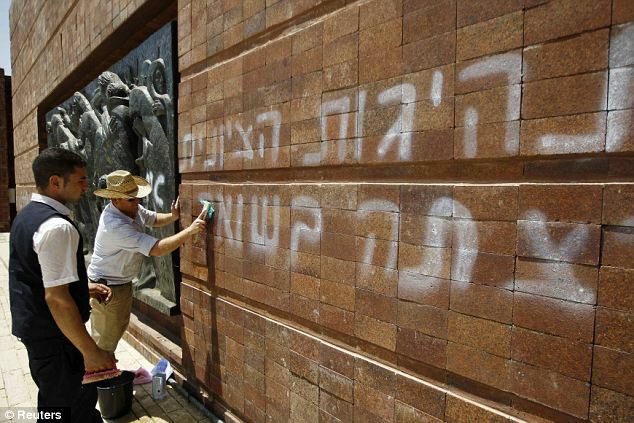 The graffiti is stretching things a bit too far (I don’t believe the Zionists WANTED the holocaust. They merely had the intelligence to exploit it), but these anti-zionists are making no more than the point I argued in Chapter 5 in 2003 while discussing the possible purposes of the mythical divine entity invoked by religious believers who consider their god or gods to be a valid hypothesis to explain the existence of the Universe. And any theists inclined to argue that their god/s couldn’t possibly have an inhumane purpose might care to answer the questions as to why, in that case, he takes so little interest in our affairs to the extent of allowing such huge and widespread pain and suffering. Indifference to our fate either individually or collectively is no better, subjectively, than active hostility – particularly if he genuinely was capable of preventing it. And its not that we can’t see the long term perspective that a deity might take. We can even perceive the benefits of the holocaust, for example. The death of 6 million Jews has almost certainly ensured their survival! (This, incidentally, from one whose family lost 46 members in the death camps and ghettoes) Organised anti-semitism on any widespread scale is now virtually extinct. You may continue to have neo nazis for a while, but they are unlikely to have any serious impact. The long term result, therefore, of that insane butchery is more genuine security than the Jews have known in a thousand years and the rebirth of their geographical nation. Of course, they may be about to throw that all away if they cannot break the cycle of abuse and step back from being the grotesque abusers they have become, but thats for the future to determine.